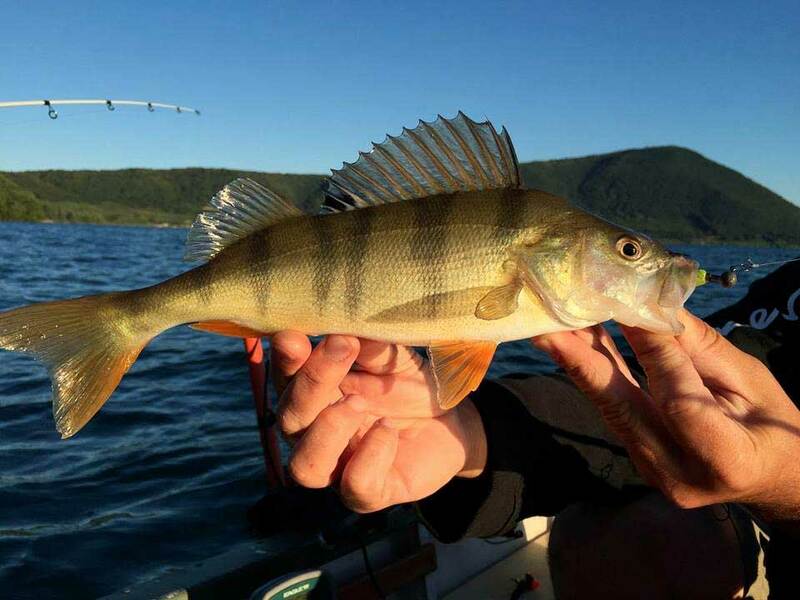 Great fishing day in Ronciglione near the beautiful Vico Lake where you can fish tench, carp, rudd, whitefish, without mentioning pike, european perch, bass and the “fearsome” pumpkinseed. Like every year, this year I won’t be able to go without my fabulous week in Ronciglione, the natural reserve near the Vico Lake, it bewitches me every time with its beauty. This place has something magical where humans manage to merge with nature without spoiling its beauty and charm. 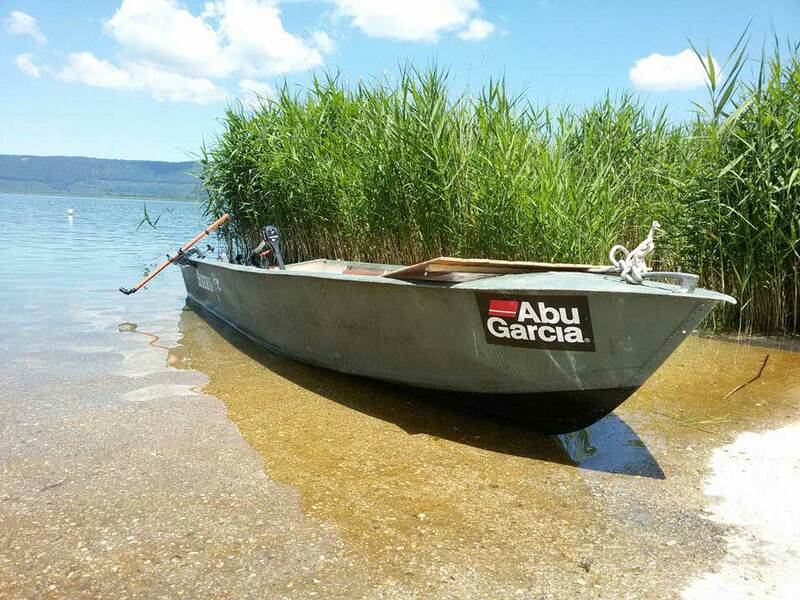 In this lake, you can find all sorts of fish: tench, carp, rudd, whitefish, without mentioning pike, European perch, bass and the “fearsome” pumpkinseed. 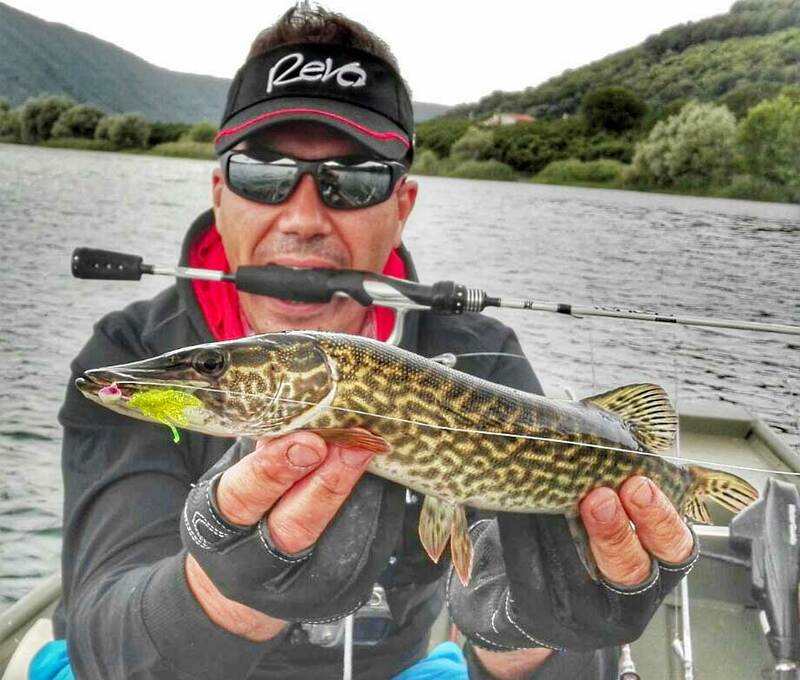 The fantastic regulations followed here, where it is possible to fish only on Thursday, Saturday and Sunday from dawn to 1 o’clock in the afternoon, gives the opportunity to find fish that are going to respond easily to our artificial baits. 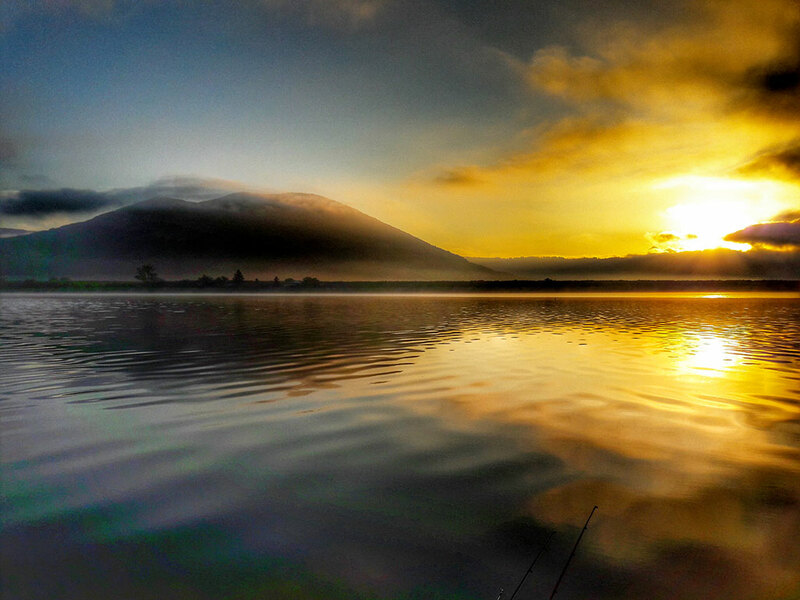 Also here fishing is prohibited from 10th October to 1st of May, this gives a chance to the fish to reproduce without any interference. For this kind of method, I use my favourite “companion of a thousand adventures”, a 14gr one-piece rod with an ultra light reel (0.14 bobbin Nanofil). 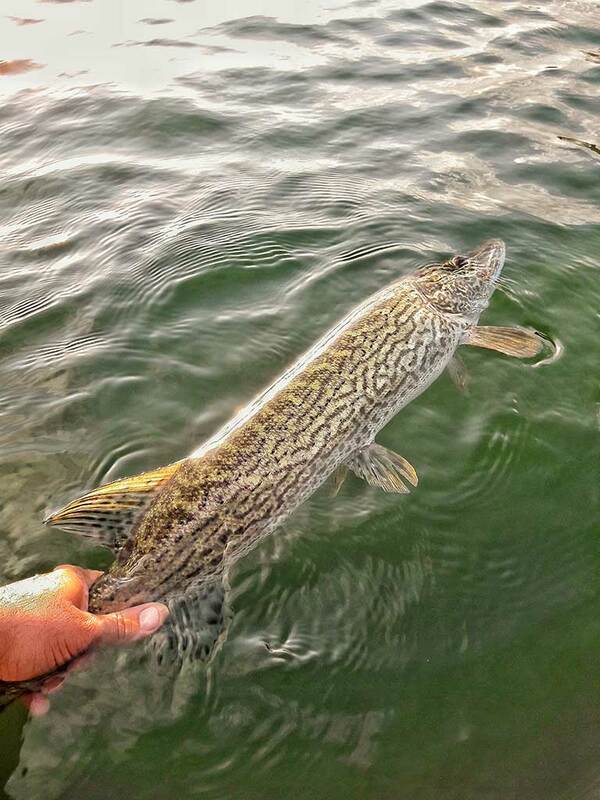 The choice of jighead and shads depends on the fish we are planning to catch, from 5/7 gr for 3 inches baits for bigger fish to lighter baits (1.5/2.5 gr) for smaller fish. This technique gives the possibility to catch fish in areas where the river’s bed is covered in grass. Very regularly here you can find pikes measuring 40/60 cm, and often you are able to take a picture of them before they get released. 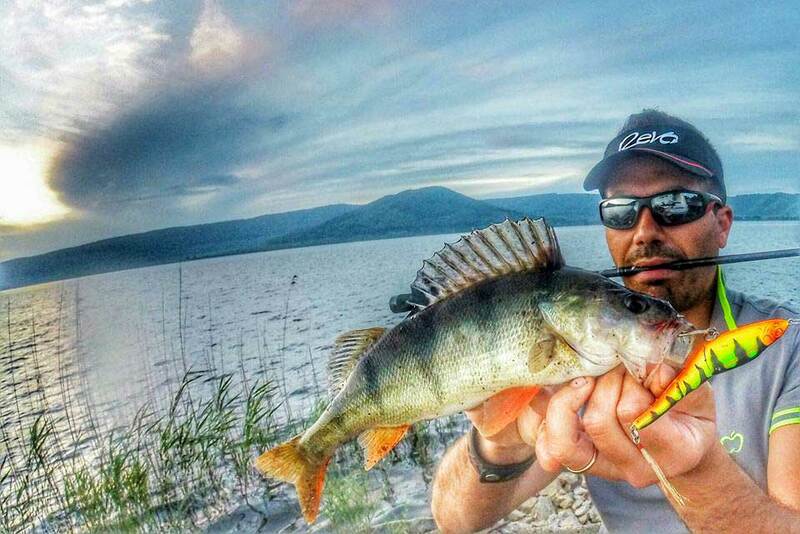 During these months I have focused on areas where waters are maximum 5/6 meters deep, so relatively near the shore, where you can find, a part from pikes, as mentioned above, lots of bass and perches. We can start talking about my second technique, which can be considered the most enjoyable one. With this method the main targets are blackbass and perches (even if I have managed to catch also a few pikes), using Surface baits like small Popper Wtd and some Swim, right next to cane thickets, you’ll be sure to have fun fishing.For this kind of technique, especially if practised from the shore, it is advised to fish at the first hours of dawn or at sunset, this is when we can find these kinds of fish in low waters. Let’s start talking about the third and last method. 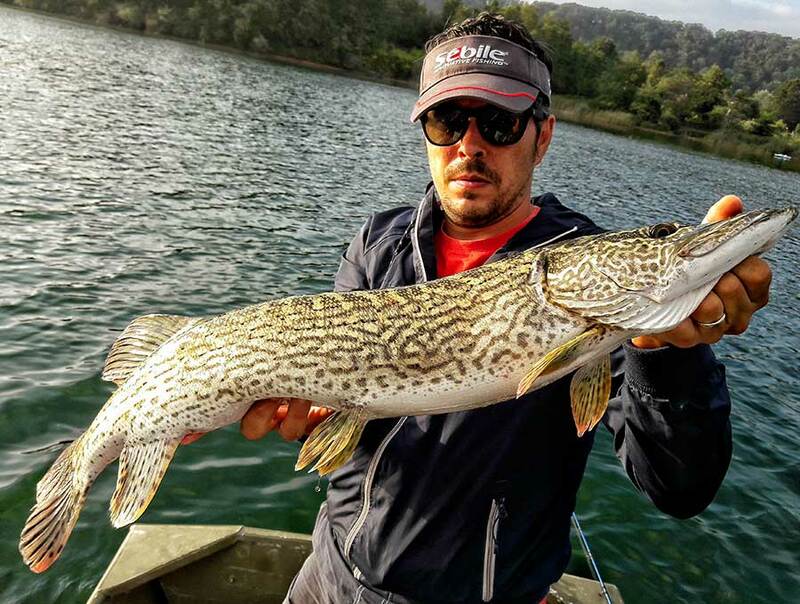 Definitely, it is the most important one and at the same time the most difficult one, especially if you want to catch “the big one”, only the most experienced will be able to do so.For the last 3 years I relied on Marco Petruccelli, who is an expert of this Lake, and its currents. Which we usually surf these waters with our small boat’s engine off, carrying out a sort of fish drifting using big shads (from around 50 gr for 13cm ones to 200gr for the 25 cm ones). We usually fish in waters from 5 to 8 meters deep. 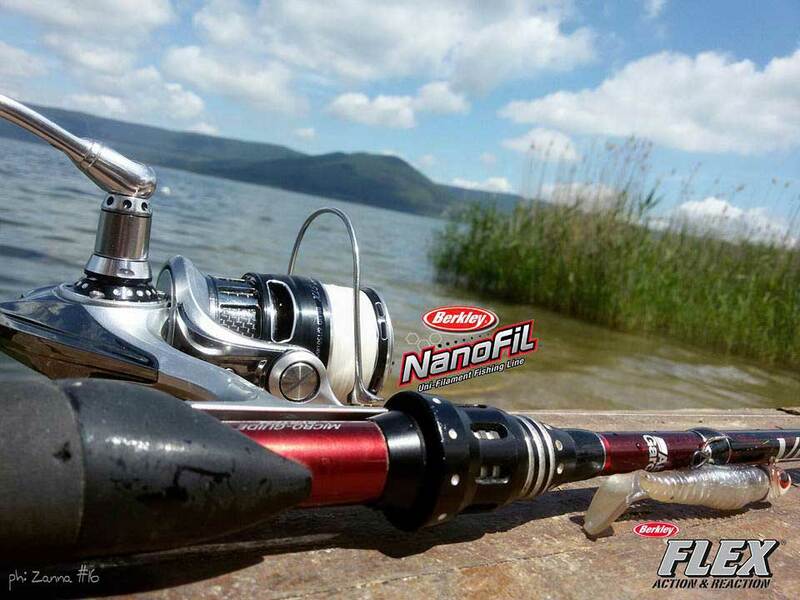 I have chosen a casting combo (200gr) with a 1mm fluorocarbon fishing line and a 0.36 braided line. 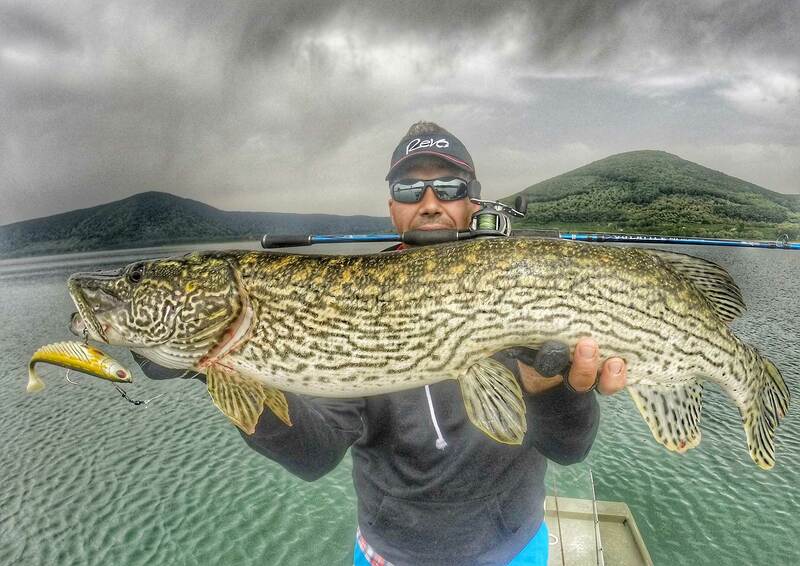 The “Captain” has opted for a 140 gr spinning rod, combined with a 4000 reel and with a 0.30 braided line. We have managed to catch lots of fish during this fishing session, thanks also to the bad weather, that it got us worried when it got worse, while we were still in the middle of the lake. 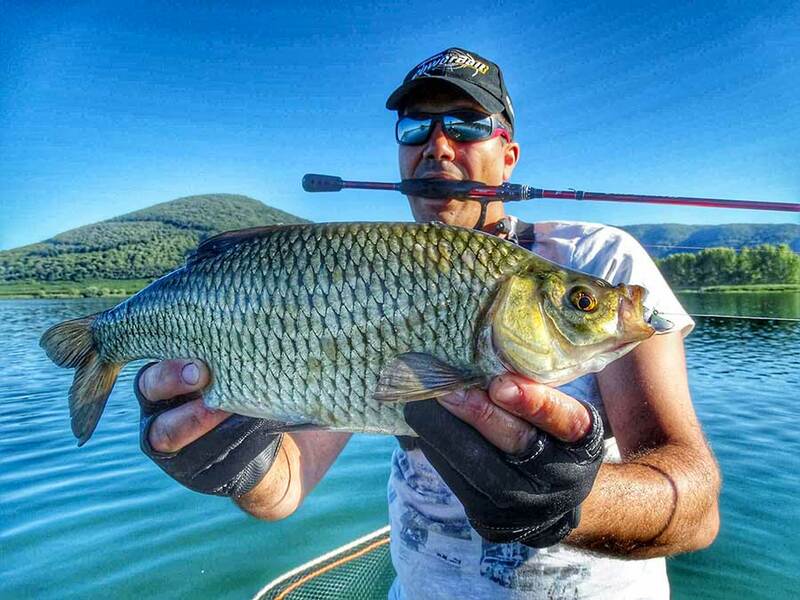 I leave you here with the best pics of the day and this fantastic surprise: a rudd, which we caught with a Shad 3” at 7 meters deep. 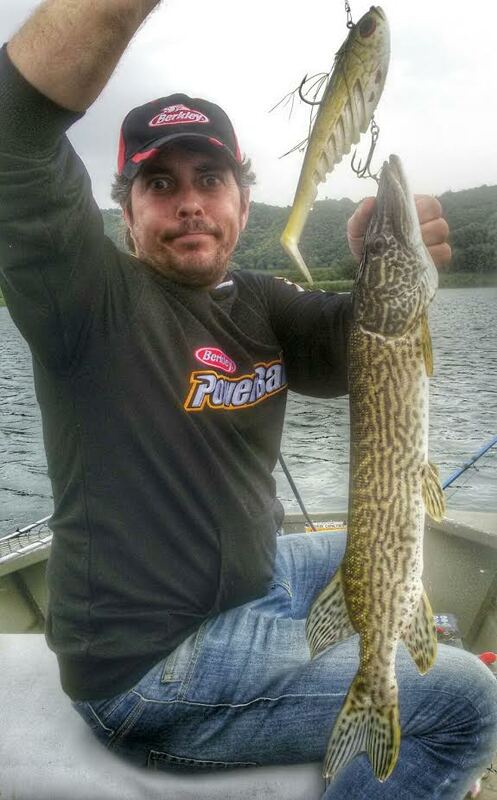 What can I say, a beautiful lake with lots of varieties of fish that never stops to amaze you. Let me finish saying a big thank you to the “Captain” Marco Petruccelli, always very helpful and available to go for a nice fishing trip to our favourite lake: Ronciglione. Thank you a see you next time!